With more awareness of phyto-science, Basil has become an herb of choice for many skin and hair care treatments. Basil can act as an anti-inflammatory agent, soothing both skin and scalp. The herb provides pro-vitamin A and vitamin K, both support healthy skin and scalp. For those who have thinning hair, Basil has been noted to invigorate the scalp. Basil provides antiseptic and anti-bacterial properties. 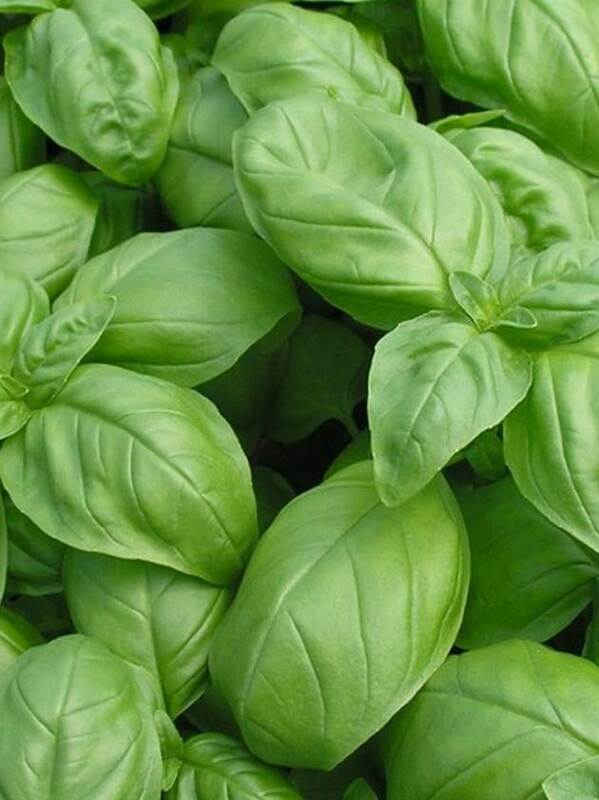 When combined with other herbs, Basil helps fight acne, varicose veins and problematic scalp conditions. Basil, used aromatically and topically, has been known for its digestive aid properties. Basil Essential Oils and Hydrosols, due to their antispasmodic and analgesic properties, can be used topically to help ease headaches, migraines, muscle spasms, aches, soreness, cold sores and insect bites. Long used as a natural insecticide, it was well-noted in the old days of Italy that women would put a pot of Basil on the windowsill to repel mosquitoes. Basil is a wonderful nerve tonic and is often used to ease nervous exhaustion, depression, anxiety, and hysteria. Additionally, it is superb for boosting memory and concentration, and promoting alertness. The aroma of Basil is useful for sinus congestion and infection. Basil is also a circulatory stimulant and it is detoxifying. Basil oils and extracts should not be used by women who are pregnant or nursing, and should not be used on young children. Basil Essential Oil should be diluted before use.